How to become Parisian in one hour? This page provides helpful details to plan your holidays at Palace of Versailles : attendance (busiest months and days) and public holidays in France. What’s the best time to go and how long? Versailles’ Palace has more than 6 millions visitors a year. So remember you that you won’t be alone during the visit! What is the best time to visit the palace? Which month or week? Versailles’s Palace is open all the year, except 25th December, 1st January and 1st May. Be careful : August is very busy. So if you can, choose another month. Avoid also coming during French’ public holidays, specially Parisians’ one (zone C). The Domain of Versailles is closed Mondays, so beware ! It also close on these bank holidays : 1st January, 1st May and 25th December. To avoid the crowd, prefer visiting the Palace during the weekdays. During the week-end, prefer coming Saturday at the opening (9:00 a.m.) or after 4:30 p.m.
Sundays are generally very busy (I avoid the first Sunday of every month from November to March : it’s free but crowded). The least busy months are from November to February. Wednesday and Thursday are the least busy days. 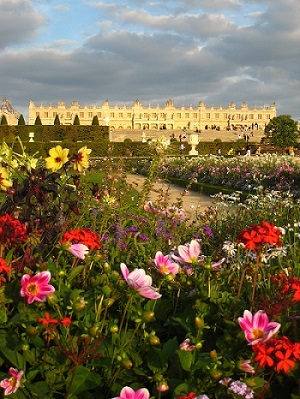 French Mother, fan of art, gives you advice to prepare your best visit to Palace of Versailles.